Graphic Details is a groundbreaking touring exhibition providing the first in-depth look at a unique and prolific niche of graphic storytelling – Jewish women’s autobiographical comics. It is curated by Sarah Lightman and Michael Kaminer. While the influential role of Jews in cartooning has long been acknowledged, the role of Jewish women in shaping the medium is largely unexplored. This exhibition of original drawings, full comic books and graphic novels presents the powerful work of eighteen U.S., Canadian, and international artists whose intimate, confessional work has influenced the world of comics over the last four decades, creating an entirely new genre. Many of the original artworks on display have never been exhibited in public until now. Artists run the gamut from pioneering Wimmen’s Comix and Twisted Sisters artists of the 1970s and 1980s to the superstars of the new generation. Graphic Details is co-curated by Michael Kaminer, a New York journalist and collector whose December 2008 story on confessional comics in the Forward, the national Jewish newspaper, provided the impetus for the show. 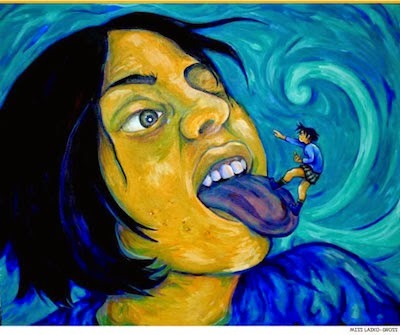 His collaborator, Sarah Lightman, is an award-winning artist, curator and arts journalist based in London, who is researching a PhD at The University of Glasgow on Autobiography in Comics. Lightman will also co-chair the accompanying one day symposium at JW3, The Jewish Community Centre, London, with Dr. Heike Bauer. 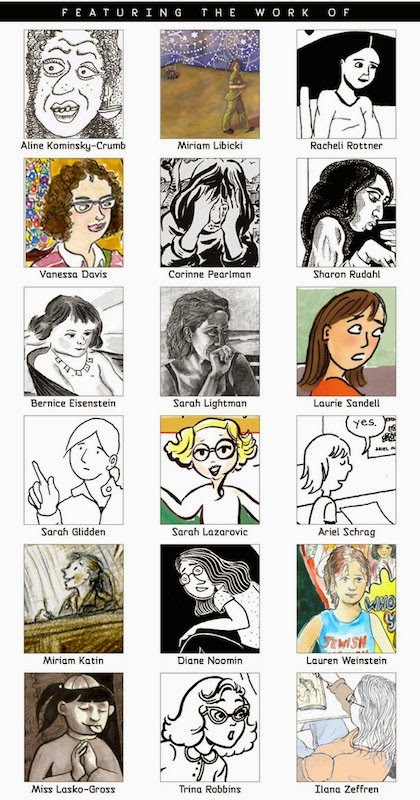 Graphic Details: Jewish Women’s Confessional Comics in Essays and Interviews(McFarland). Edited by Sarah Lightman. Available here. And Graphic Details Artists: Corinne Pearlman, Miriam Katin, Diane Noomin, Ariel Schrag and Ilana Zeffren. The day will conclude with a cartoonist roundtable open to the public. Using a short piece of newspaper text as their starting point participants will learn how to create a dynamic page of comic art that considers composition, expressive colour use and pacing. Participants will learn about panel layout and the golden ratio, complimentary and opposing colours and they will be introduced to some of the cartoonists' tools. A workshop on the dramatic potential of comics, looking at the powerful subtleties that can be conveyed through the artwork and exploring methods of characterisation and storytelling using image alone. Open to participants of all skill levels. Laydeez do Comics is a unique monthly graphic novel forum with a focus on comic works based on life narrative, the drama of the domestic and the everyday. More info on the touring exhibit here.